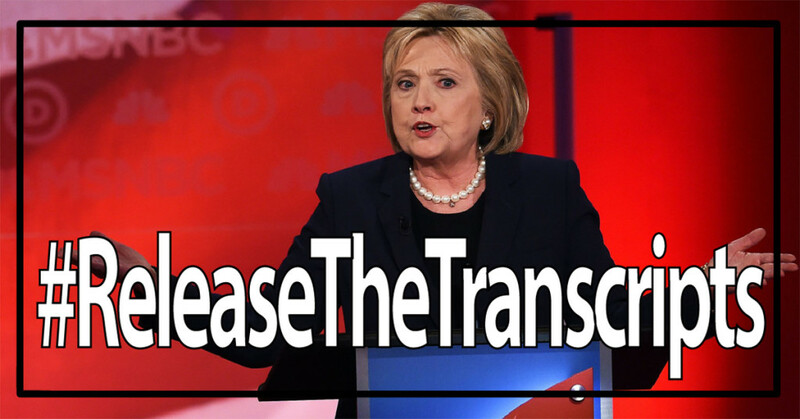 The Young Turks report on Hillary’s comeback to the New Hampshire debate question: will she share the transcripts of all of her speeches, even the ones she made to Goldman-Sachs? In a nutshell, Hillary’s answer was no, not really. We’ve learned that Hillary’s speaking contract stipulates that they be recorded both digitally and by a hired stenographer; and that she retains full copyright protection for all of her words. The enormous speaking fees and donations racked up by the Clintons from the financial services industry represent much more than the “artful smear” Ms. Clinton attempted to dismiss during the 5th Democratic Debate. Ms. Clinton’s record of getting paid substantially by large financial firms suggests her allegiance is aligned with their interests, rather than the American public. Nothing in her record or rebuttals suggests otherwise. And she doesn’t have to either. Of course not, but she can’t claim transparency if she doesn’t. And it’s hard for her to claim she’s looking out for the little guy as well. Previous PostPrevious Did NAACP pay Hillary her usual $225K fee to speak at 2015 National Convention?